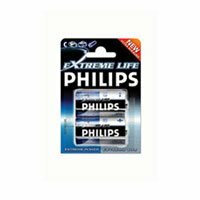 General purpose high performance Phillips alkaline battery. They contain no added mercury. C. Pack 2 batteries.